Engaged in a journey of creative exploration into spirituality and faith within the Christian tradition, through the eyes of alternative sub-cultures. Richard made a wonderful meditation for the lungs station in this year's Greenbelt service. A fan was blowing red ribbons and there were juggling balls to squeeze as a de-stressing mechanism. Another way to approach the meditation is to keep squeezing something like a stress ball for the duration, in time with your breathing. So find a comfortable place to sit for 10 minutes uninterupted and play this Blood Meditation mp3 to consider for a while on the wonder of blood to the sound of wind breathing through trees. It's Christmas party time - a great opportunity to glam up and strut your stuff. 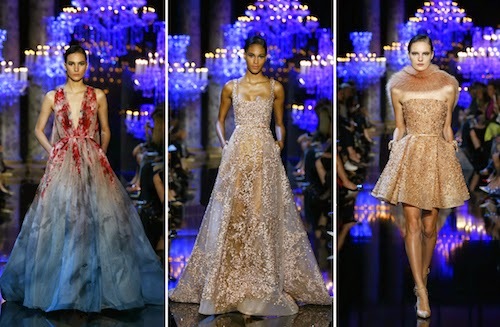 A designer I've been seeing more of (and generally loving what I see), is Elie Saab from Lebanon. Below are some tasters from his Autumn Winter 2014 collection, with the header image from the AW14 Haute Couture collection. Absolutely fabulous, darling! This week it's my work Christmas party. As a first, we have been asked if we want the DJ to play any particular Christmas song for us to dance to during the evening. This is a nice touch, although I feel it will inevitably result in the same old shopping mall songs being churned out again. 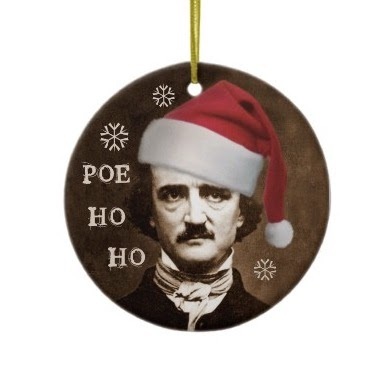 However, it set me to thinking about gothic Christmas music. There's not much of it and most of what there is is not of a tempo or level of familiarity suitable for a work party (no surprise there), so I haven't requested any particular version of the Coventry Carol to dance along to. However, if you want something other than Within Temptation's Gothic Christmas track to listen to this year, here's a few treats I've found. Terrorizer reviewed some compilation albums from Projekt Records and Black Rain. Going back as far as 1995, these may be a bit tricky to hunt down now, but you can probably find examples of the individual tracks on your favourite video content provider. There are actually quite a few good tracks here, so I recommend hunting them down. In addition to those, I would also commend to you the Tori Amos Christmas album, Midwinter Graces and the Jill Tracy album Silver Smoke, Star of Night. Both reinterpret classic carols in wonderful and graceful ways. 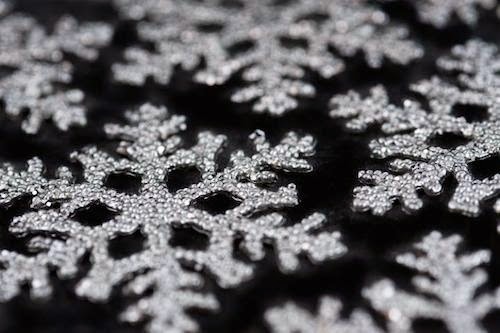 Hunker down in front of your Christmas tree resplendent with black decorations, take a sip from your red wine, close your eyes and let these sirens take you off into a wintry wonderland. December 1st already - where did the year go? My family home has now gone festive: the tree is up, the advent calendar started, who is visiting whom and when is organised, pantomimes are booked. A 6 year old helps you focus! I currently have several piles of things to read, from newspaper articles to books and graphic novels. I also have plenty of games to play, on my phone, the Playstations and table top games too. I'd really like to spend December reading by the fire, a la Nightmare Before Christmas, and playing games with friends. A personal success of the planning has been finding a way to squeeze in a trip to the British Library for its Terror and Wonder exhibition - yay! My niece is studying Mary Shelley's Frankenstein as part of her 6th Form English Studies, so I think this will be a superb visit for us both. At my church yesterday the morning was spent looking at the spiritual influence of poetry. So, this week I would like to share a poem with you. it does look like heaven. who lives on his nerves, thinks he knows better. and he knows that heaven is not like this. strongly worded to say on the subject. As the son of a minister, I've been around the church all my life. My parents are also missionaries, my father regularly travelling to Eastern Europe long before the iron curtain fell. I've accompanied them on some of these trips, so have a feeling for what it can be like. Whenever someone was taken on a mission trip for the first time, there would be an "Oh" moment - a spark of realisation about how others in the world live/survive. We may hear the stories and see the news and think we have understood the suffering that others go through, but (generally) it is only when we see first hand that it really hits home. 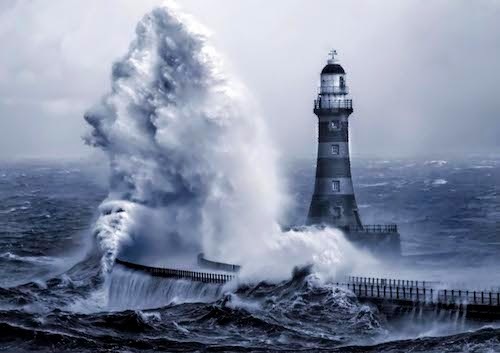 That close encounter usually has quite the impact. I would heartily recommend you go help a charity or mission organisation overseas if you get the opportunity - just once. To truly understand what other humans go through in countries less fortunate than ours (not that we don't have our own problems, of course), which can be properly understood through a first hand experience. Helping those people in whatever way you can, no matter how small. 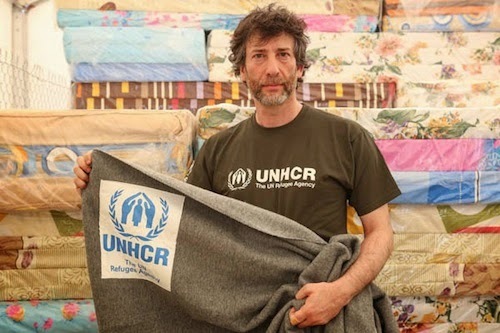 This transition from shock to 'let's do something' has recently been experienced and captured by Neil Gaiman, who has released a video in support of UNHCR. Watch it, find a charity or mission to support (UNHCR or not - there are many to choose from, both locally and internationally) & consider helping in a more practical way. Money is obviously very important in keeping the wheels of charity turning, but so is the physical involvement of its supporters.